The international children’s charity asked more than 400 displaced children in southern Syria about their daily struggles and hardships in February. Nearly seven in ten children reported psychologically-damaging experiences of physical and verbal abuse and aggression at school. The charity’s report Beyond Survival found the majority of the 11-17 year old children surveyed were surviving under severe stress. Pressure-factors included violence at school, domestic abuse, and criminal acts. The survey found children struggling with poverty, malnutrition, displacement and overcrowded housing. • Half (50%) had experienced physical or verbal violence at home. • 73 per cent were living in overcrowded homes. • 66 per cent were living in unsafe housing. • 59 per cent had no access to health care. A staggering 9 in 10 children were getting no support in school to deal with their emotional trauma and social isolation. Too many young lives have been torn apart by the Syrian war. And still the suffering children of Syria find no respite from brutality and hardship, even in schools and homes. The impact of continuing stress on children who have endured years of warfare, violence and poverty can devastate the rest of their lives. It can lead to post-traumatic stress disorder, toxic stress, depression, anxiety and reduced resilience and tip into long-term mental illness and physical ailments. These children desperately need safe places where they can recover from their horrific experiences. The longer they lack that security, the worse the damage to their mental and physical health. Gavin Crowden, World Vision UK’s Head of Policy, Advocacy and Campaigns, said: “The Syrian war has spawned the worst humanitarian crisis since the Second World War. As the conflict rages into year eight, millions of children face irreversible harm to their long-term emotional and physical well-being. Publication of the report coincides with World Vision’s launch of an exclusive virtual reality (VR) experience in partnership with the broadcaster Al Jazeera today (Thursday, 22 March). The immersive film was captured by Syrian children in Jordan’s Zaatari refugee camp, and shows what life is like as a refugee through their eyes. It is narrated by Game of Thrones star and World Vision supporter Liam Cunningham. If there’s gunfire on the streets, violence at home, and abuse in the classroom, you have to ask: what life are we offering these children? 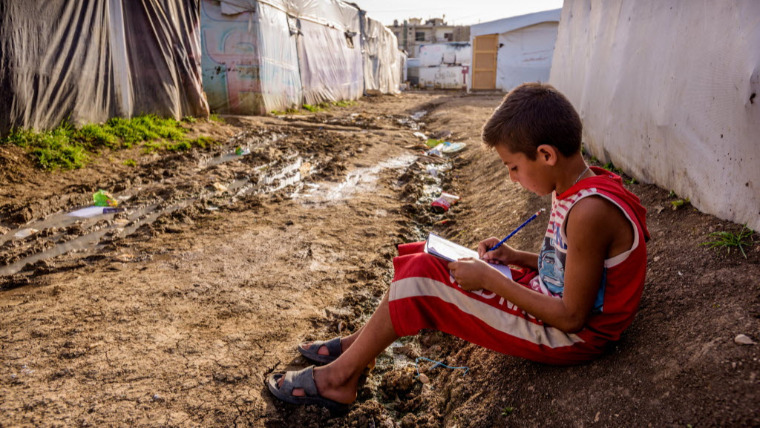 Millions of Syrian children are living in a state of prolonged exposure to the horrors of war. We all have a duty to stand up and speak out against these atrocities which, as World Vision notes, are damaging an entire generation. I met refugee children living in Jordan in 2016, and was horrified by the atrocities they faced every single day. Not only have they experienced unbelievable horrors back in Syria, but each day as a refugee brings its own hardships. They deserve more, and it’s up to us to step in and do what we can to help.